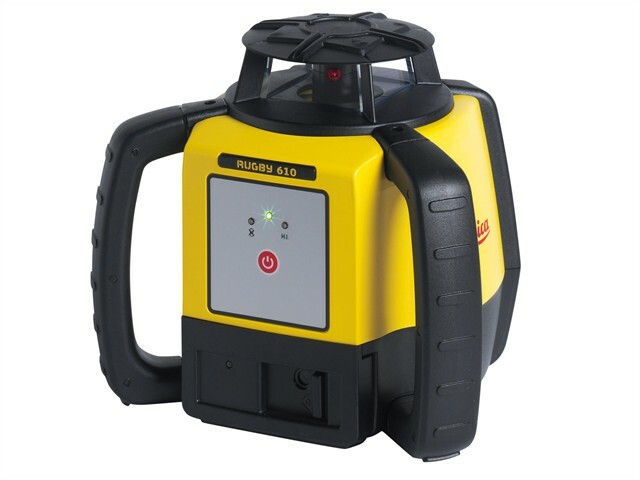 The Rugby 610 is a one button laser which works perfectly for horizontal levelling tasks such as concrete forming, surface levelling, setting foundations and footings etc. Incredibly accurate, the deviation from level should be no more than ± 2.2mm over a 30m distance. Supplied with a Rod Eye Basic laser receiver which extends the laser’s use beyond the visible range and up-to 500m diameter. Accuracy: ± 2.2mm @ 30m.